The Gilmer High School Bobcats started the 2016 season with a 11-6 home victory over the Dawson County High School Tigers. 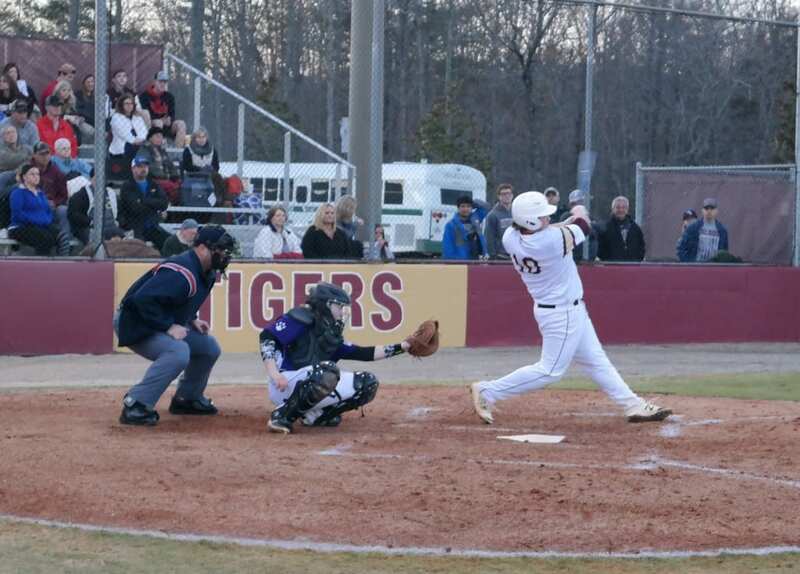 But after dropping a 4-3 contest at home to the North Murray Mountaineers last Thursday, the weariness of playing three games in three days caught up with the Cats last Friday, as the Tigers picked up a six-inning, 14-4 victory over the Bobcats in Dawsonville. Much like the first two games of the year, Gilmer built an early lead. Chandler Sutton drew a one-out walk in the top of the first, swiped second, moved to third on a wild pitch and later scored on a sacrifice groundout from Chad Watkins. The Bobcats then added their final three runs in the top of the second. With one out and the bases loaded, Dylan Hatcher drew a walk that brought Noah Ralston home. Drew Healan then walked to score Avery Sirmans, before Dawson made a pitching change and put Palmer Sapp on the mound. Watkins later drew a walk with two outs to plate Eric Turner, before a strikeout got the Tigers out of the jam. Up to that point, GHS had yet to garner a base hit. That trend carried through the remainder of the game, giving Dawson the opportunity to pile on a 10-run advantage. A one-out double in the bottom of the second from Connor Bearden got the Tigers momentum going. 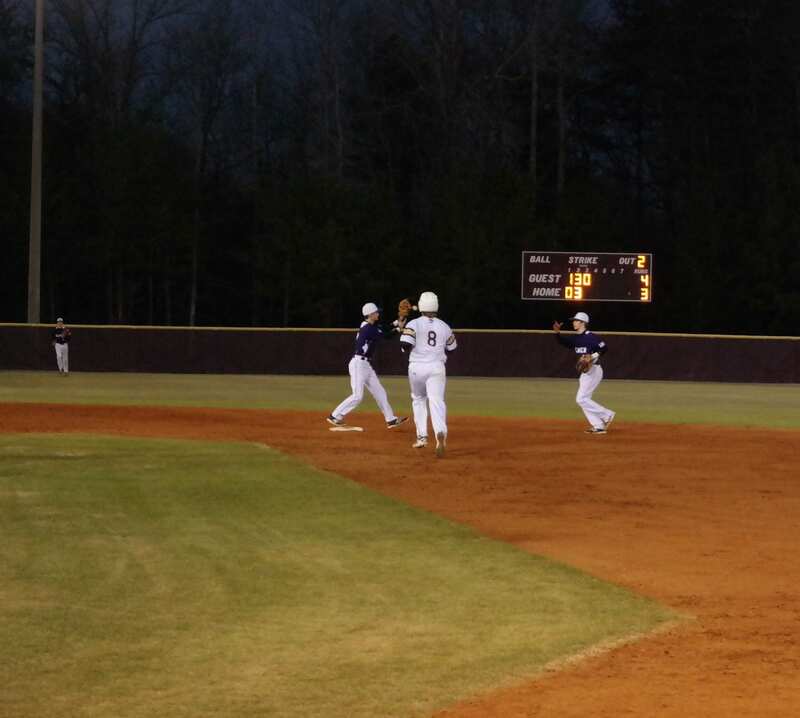 Austin Young followed with a single to score Bearden. Although Young was caught stealing, a pair of walks and a throwing error at shortstop plated Kolton Brumbelow. A wild pitch then brought courtesy runner Nathan Sorrells home to cut the Gilmer lead down to 4-3. Bobcat starter McKinley Chadwick prevented further damage with a strikeout to end the frame. Dawson took the lead in the bottom of the fourth. After a leadoff single from Young and Brumbelow reached on a throwing error, Jacob Glocekner doubled to edge the Tigers ahead. Tucker Maxwell then walked, before Sapp singled to score Glocekner. Chadwick was then pulled for Brooks Rosser. After a walk, original Dawson starter Brise Henson picked up an RBI on a sacrifice flyout to center. Bearden then grounded out to end the frame. The Tigers added to their 7-4 lead in the bottom of the fifth. Young reached on an error to begin the inning and later scored. With two outs, Sapp doubled to score Glocekner and Maxwell. After another pair of walks, Tatum Chadwick took the mound for Gilmer. A walk gave Dawson the opportunity to send Drew Barnes home for the 11th Tigers run of the night. Tatum Chadwick then got Young to flyout to end the inning. DCHS finished the game off in the bottom of the sixth. With Austin Daman toeing the rubber for the Bobcats, Reed McAllister drew a leadoff walk and Hunter Ramey followed with a single. Later with one out, Maxwell singled to widen the Tigers lead to 12-4. Brody Chester later drew a two-out walk, before Henson doubled to bring Maxwell and Chester home to score. With the score 14-4, the game was then called due to run differential. Gilmer will look to rebound this week. Today, the JV will host Fannin at 5 p.m., before the varsity welcomes the Rebels tomorrow at 5:30 p.m. The JV then travels to Dawson Thursday for a 5 p.m. first pitch, before the varsity finishes the week at Lumpkin Friday at 5:55 p.m.